Does anyone know what oil is supposed to be in the drive unit? 95 Cushman 48 Volt UTV Max. If you can, post a picture of the motor end where it's removed from the drive unit. I'm not an expert, but I've adapted several golf cart motors to gokarts. 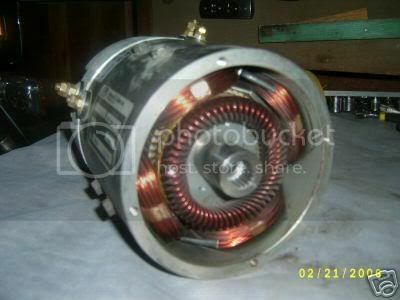 These motors usually don't have a faceplate on the "output" side, since they bolt right up to the differential. The golf cart side is the male of the shaft, and the motor is the female. There are no bearings or faceplate on the output end of the motor - the motor relies on the bearings on the golf cart's shaft. I've worked with two main configurations. The golf cart shaft on "Club Car" type has 10 splines cut as square slots about .1" wide. The "Columbia Par Car" type (I don't know which others as well) has 19 splines cut as V-grooves. Does it look anything like either of these? 19 grooves is what I have. Trying to get a photo of the end, but the end unit looks like the second photo. does your motor mount from the front like a T or is it in line with the axle? 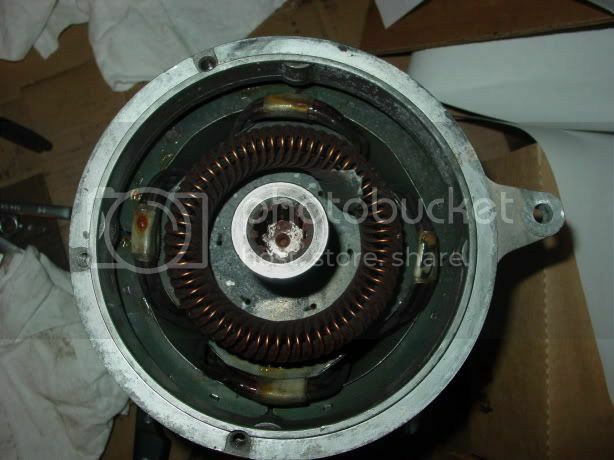 Your cushman has 19 spline motor, series. 19 splines it is used in ezgo, gem cars, yamaha. That's an easy to find replacement. You can even repair that motor if has issues, contact empinc.biz or some of the sponsors of the forum, they can get that motor for you. On the results is another company dealing with GE motors.